It's peak season for package deliveries, but one Arizona community might be missing a few presents this holiday season. 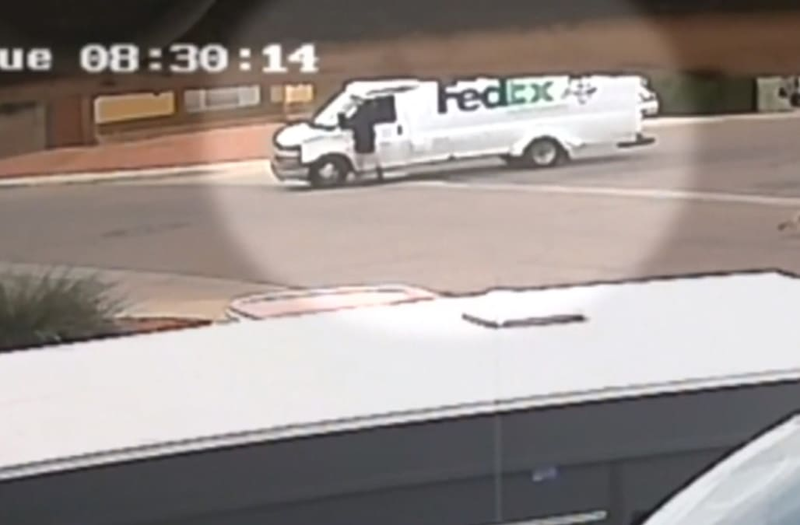 The Glendale Police Department said a FedEx truck that was briefly left unattended with the keys in and the engine running was stolen Tuesday along with everything that was inside. "The vehicle was running and there were still packages inside of the truck with the rear doors wide open," Glendale Officer Tiffany Smith told KPHO Wednesday morning. "FedEx is working to find out just how many packages are missing." While the driver was dropping off packages, cops say he returned to the truck to find a suspect in a ski mask inside the vehicle. The driver told police the suspect pulled out a gun as he approached. Just then, the driver said a white sedan pulled up to the truck. A second suspect got out and also brandished a gun. But even under the threat of being shot, the driver reportedly fought back. Even as the suspect pulled away, the driver held on until finally being overpowered and forced to retreat. The suspects sped away with about 100 packages in the truck. According to KPHO, the truck was found by patrol officers around noon. However, there was no sign of the suspects and no indication of where they went. In a statement, FedEx officials said they were working to determine how many and which packages were missing. Spokeswoman Nikki Mendicino said the company is grateful nobody was seriously injured and is fully cooperating with police.